December is FINALLY HERE! Which means it’s officially acceptable to cover your entire house with Christmas decorations! 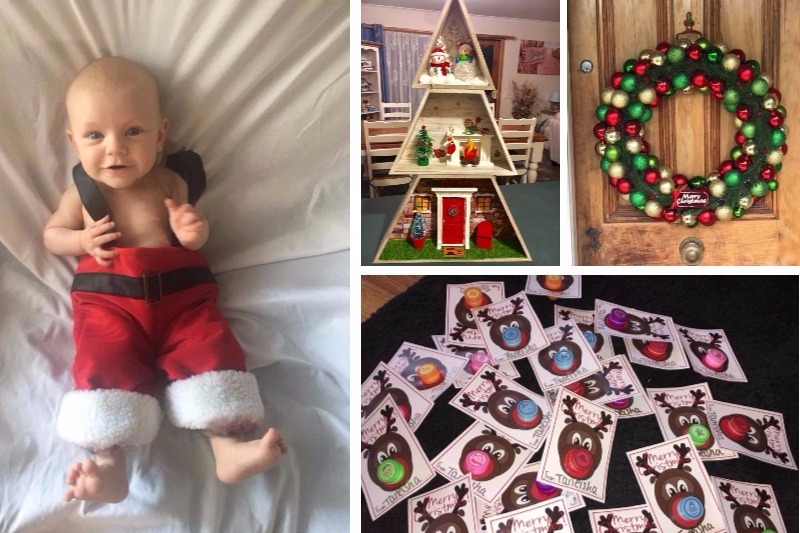 Bring out the baubles, ding the bells, drape tinsel from your tree and plan a trip to Kmart to pick up these cheap Christmas items that will up your decoration game to the next level. 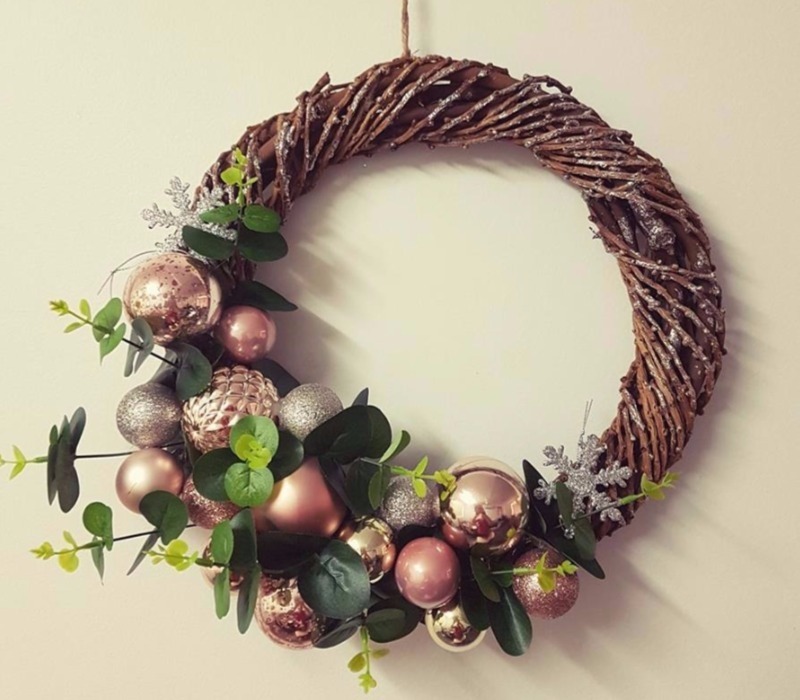 From tree inspiration to cute crafts, from centrepieces to wreaths, we’ve tracked down the very best in Christmas hacks for everyone to enjoy! Behold the beyond amazing Christmas Kmart hacks we are absolutely LOVING (and hopefully you will too!). This year, it’s all about the wreath. You can pick up one pre-made. Or you can make one. Start with a basic $7 Kmart wicker wreath and add your own little pretties. Add whatever you want – baubles, tinsel, fake plants. 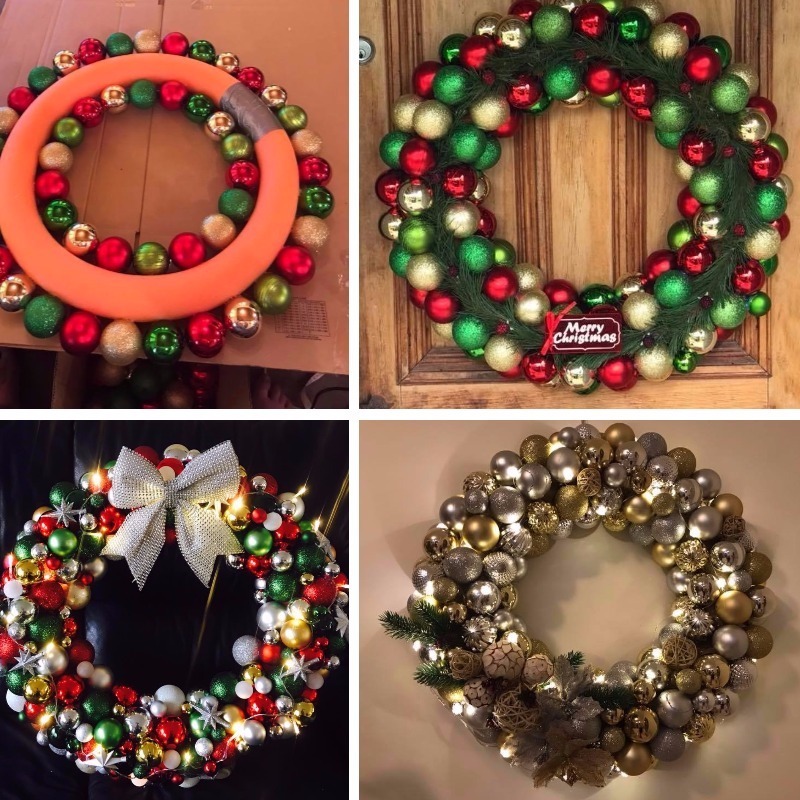 As long as you have a glue gun and a bit of patience, you’re ready to rock your wreath. Another option? 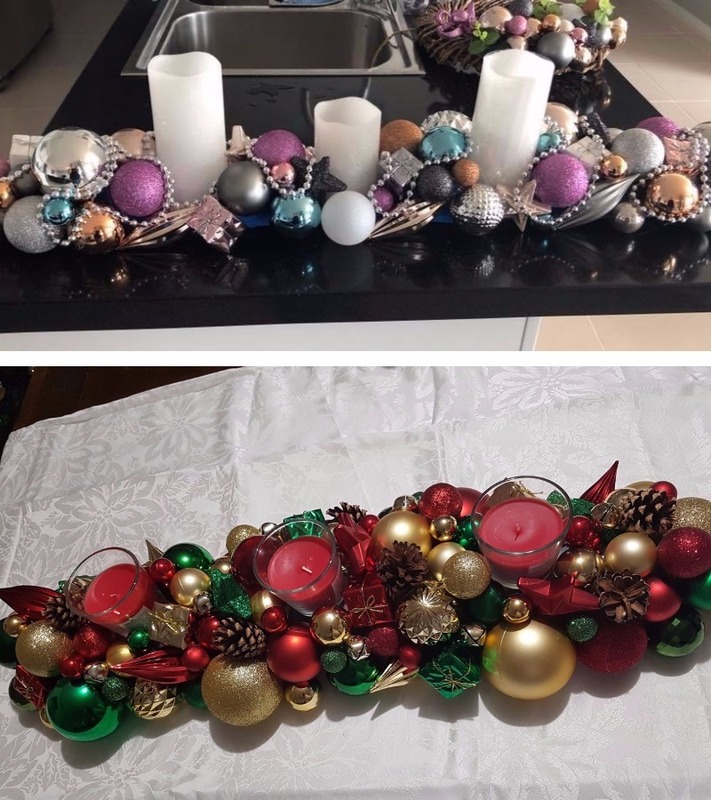 Pick up a $3 pool noodle, a boat load of baubles and a glue gun and make your own, like these clever Kmart mums have done! Not a fan of the wreath? How about a centrepiece for your Christmas table? You can create a cute centrepiece out of a pool noodle too. Just don’t glue the ends together. 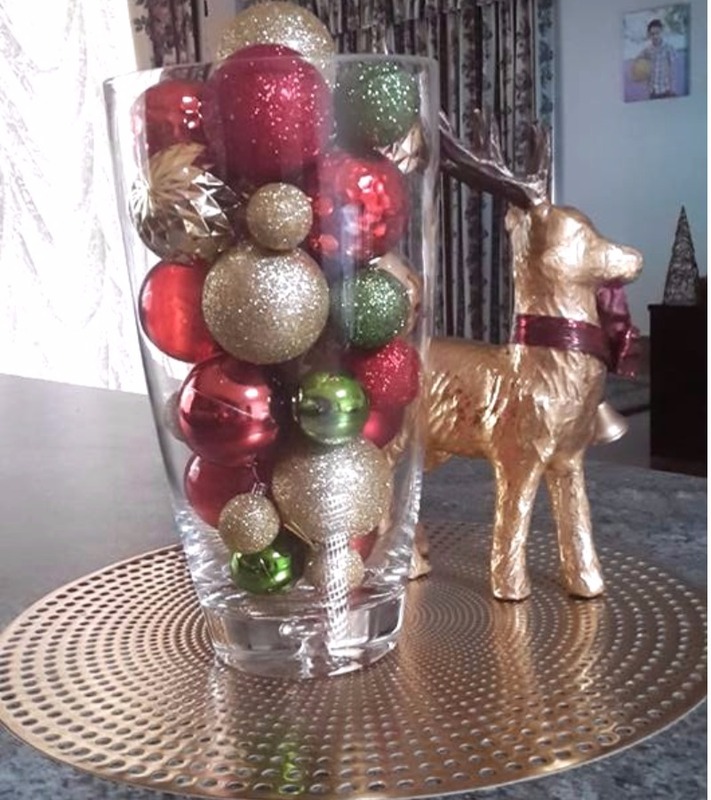 If you don’t have a lot of time (and don’t feel like gluing 8 gazillion balls to a noodle), then you can also get a beautiful centrepiece by placing some baubles in a vase. Add a cute reindeer ornament and your table is all Christmased up! Easy peasy, Christmas squeezy. Got a little one who LURVES dinosaurs? Bypass the baubles and head to the toy section to pick up a pack of toy dinosaurs instead. 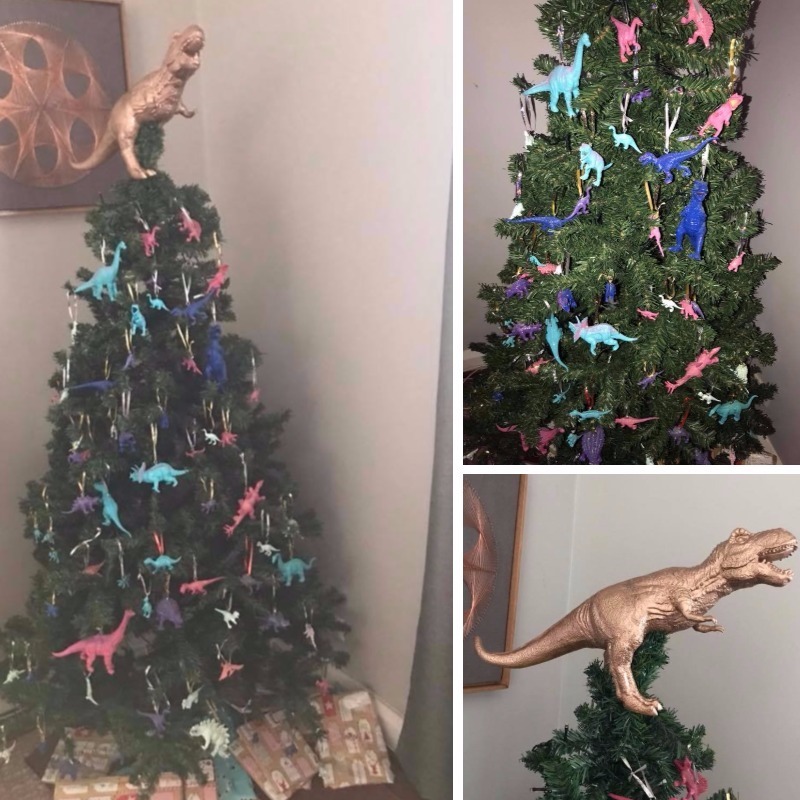 This dino-loving family even added a massive T-Rex to the top. What about the outside? Pick up a $5 3ft Kmart tree and a planter and you’ve got yourself an outdoor Christmas tree, perfect to add to the front or back patio. If you’re hosting a Christmas Day BBQ in your backyard, this is an awesome way to spruce up the area with festive fun. Have a pile of plastic white cups at home? No? It’s okay. Kmart sells packs of them for like $1. 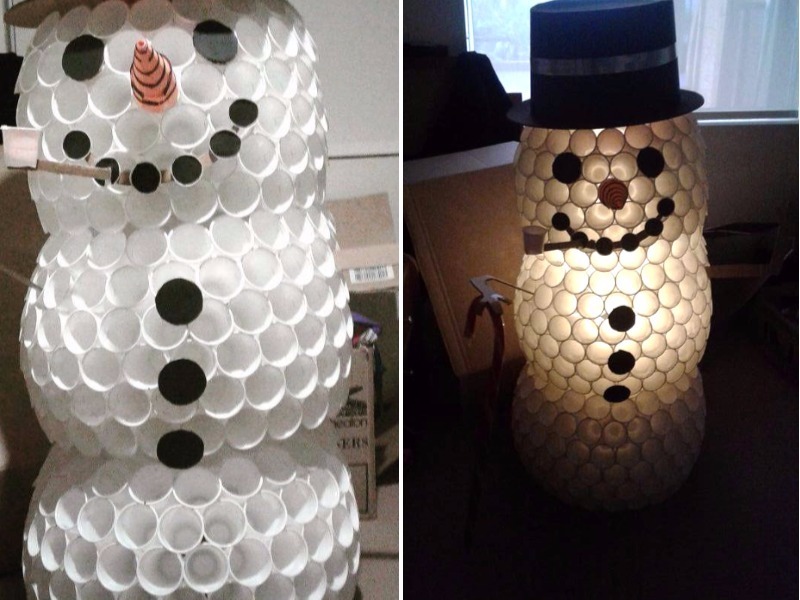 Buy enough of them (440 to be exact) and you’ve got yourself a DIY snowman. No fireplace? No problem? Grab a bunch of boxes (empty beer cartons are the perfect size), tape them together, paint them white and glue red card to the top. You can get all of the goodies, except the beer, from Kmart. 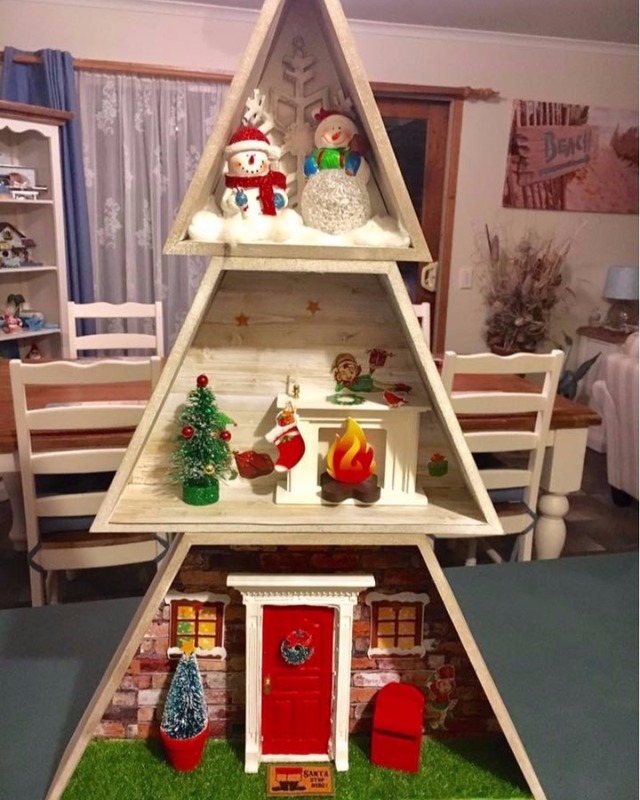 We used red card, white craft paint and brown craft paint for the top. 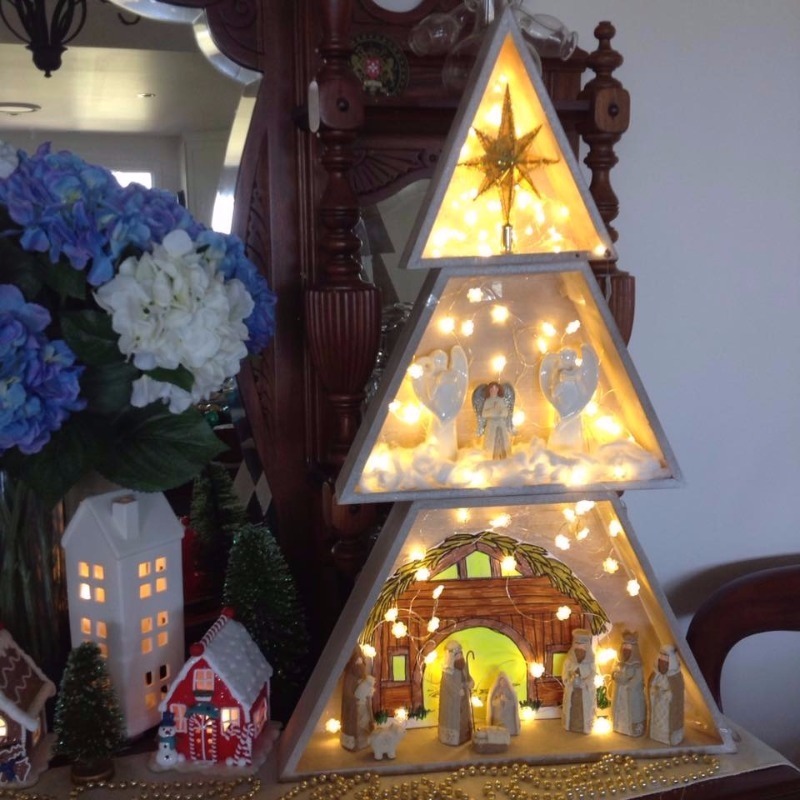 Another hot buy this season is the $12 Kmart stacking tree, which can be used to display pretty much anything. Many mums are adding lights and putting baubles into the tree or creating their own little nativity scenes which look awesome! Other crafty mums are opting to use the stackable tree house as a home for Elf on the Shelf. 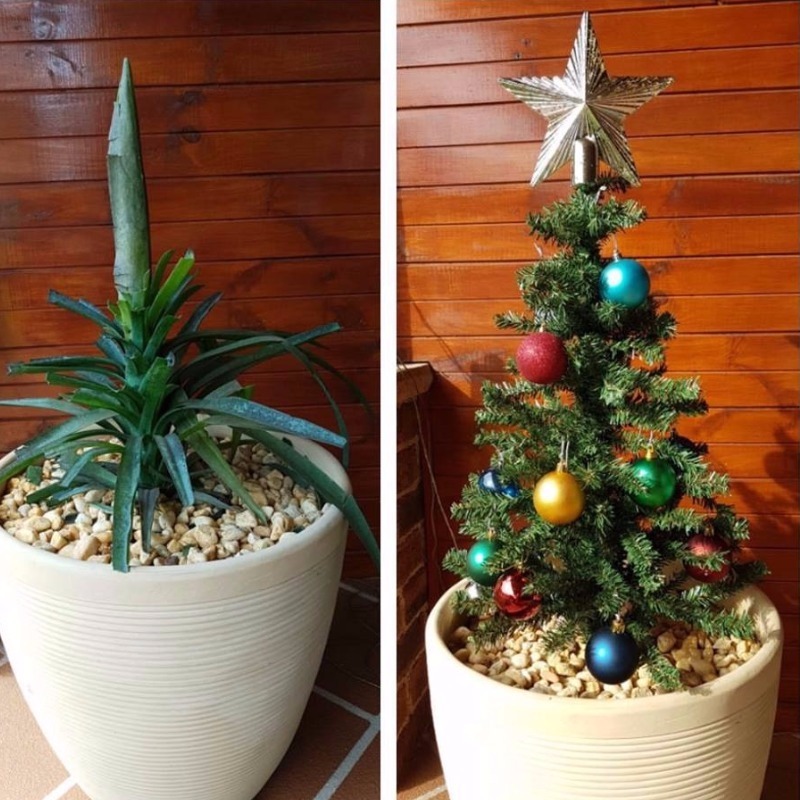 Either way, we’re loving all these stacking tree hacks! 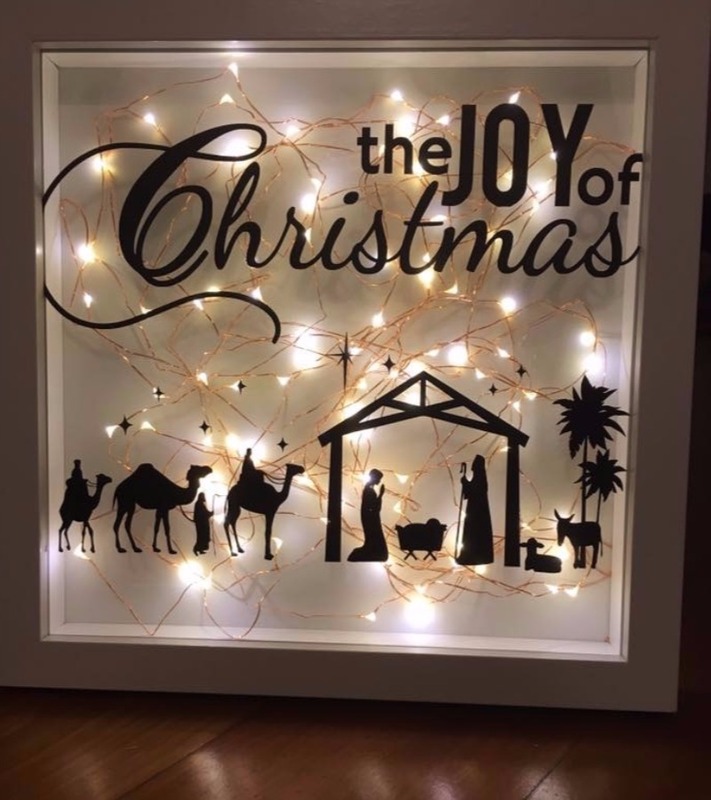 From tree to shadow box, you can create your very own Christmas-themed mini-theatre using the Kmart shadow box ($10), LED lights and wall decals of your choice. Decorations done. It’s time to move on to the photo shoots! 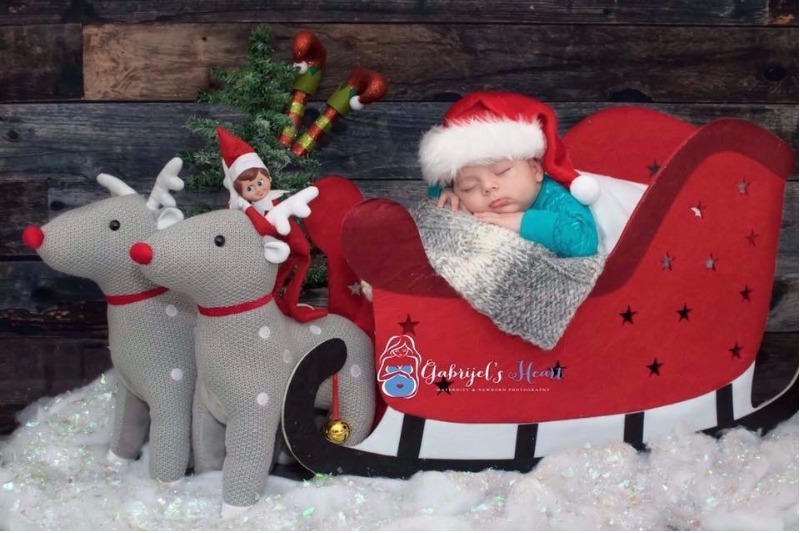 If you haven’t already seen our adorable sleigh photo shoot, then here it is again. 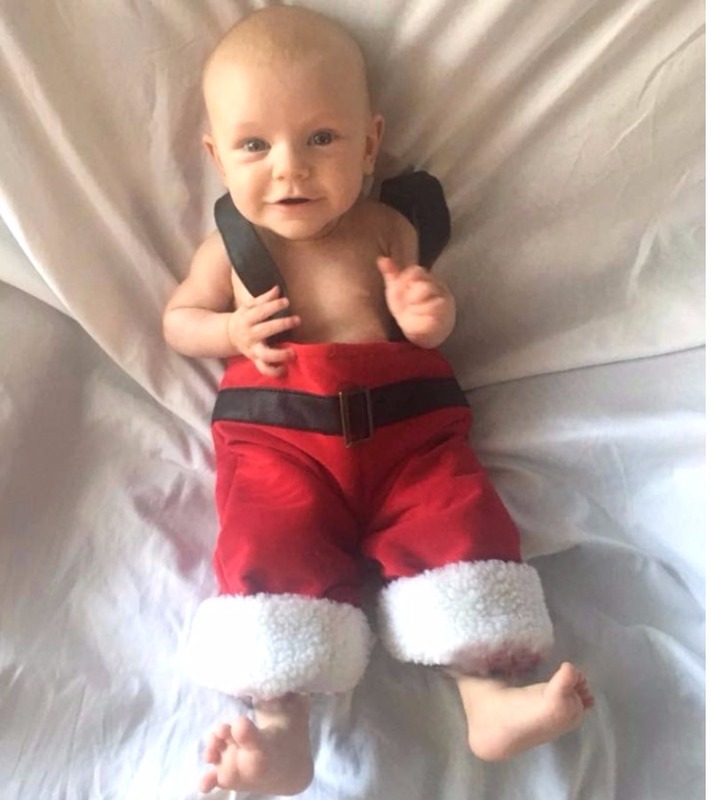 Another cute idea for mums with little ones is to hack the Kmart $5 Santa bottle holder to make your little one the perfect Christmas outfit. Simply cut open the bottom and you’ve got a pair of Santa overalls for your wee one. 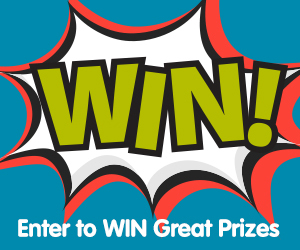 If your kids are in school, you may also feel the pressure to give each child in their classroom a card at the end of the year (don’t worry though, by around year three, your kids usually lose interest in doing this and you can bypass this step). 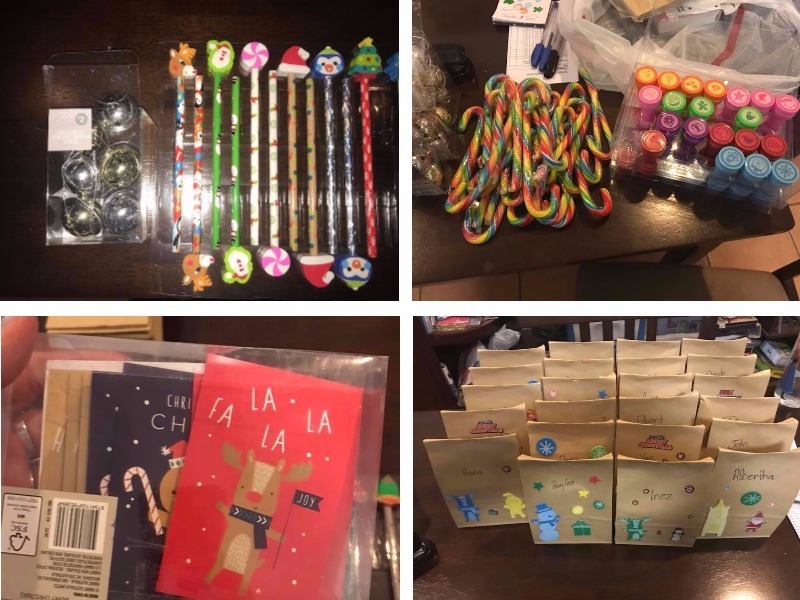 But, until then, have a look at these adorable homemade classroom pressies, complete with a Christmas pencil, bell, card and stamp set. Each bag cost about $1.60 in all. 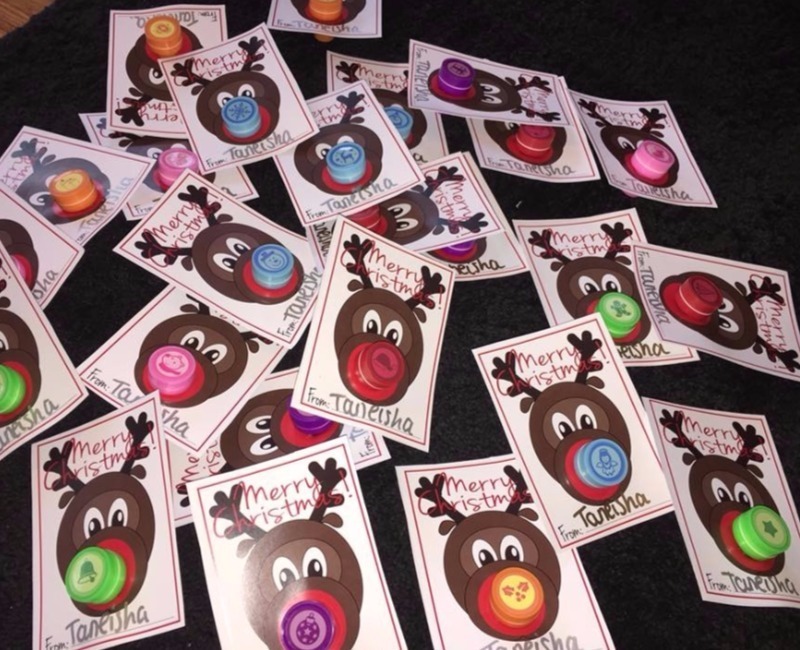 Another option is to bypass the bags and design cute reindeer stamps for each child. The reindeer cards and stamps set will set you back $11 (for about 24 kids). 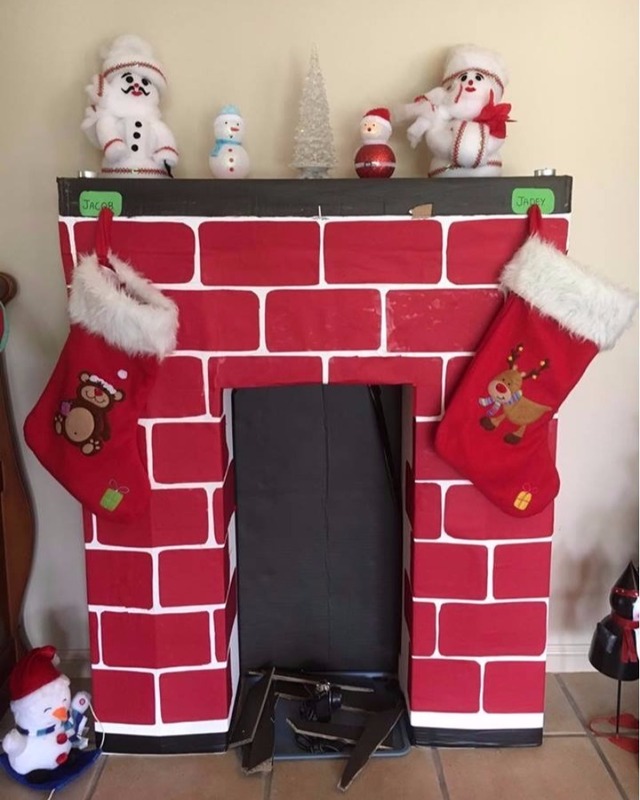 That about wraps up our Christmas Kmart hacks for this year. But there will be plenty more hacks to come! 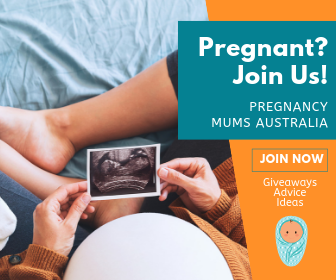 In the meantime, check out these other clever Kmart hacks that all mums need to know.